Earth has been around for about 4.6 billion years and the planet has been through all kinds of changes during that time, from white-hot oceans of magma to a frozen coating of glaciers to diverse ecosystems filled with life. Geologists can read the planet's history by looking at distinct signatures in its rock layers. The scientists mark each chapter with a meaningful title: Cambrian, Jurassic, Holocene, Pleistocene, just to name a few. 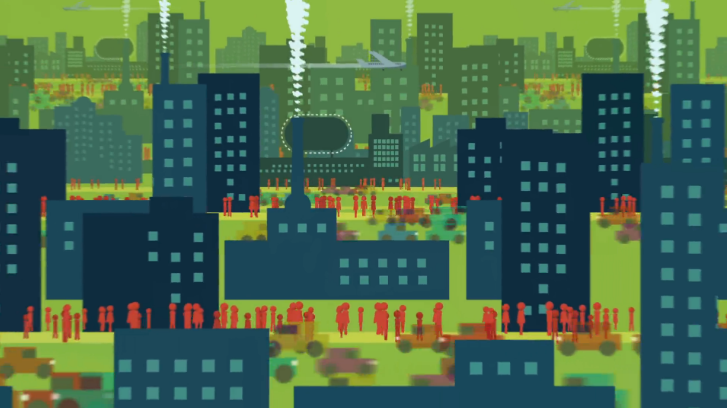 The animation below explains what scientists mean when they talk about the Anthropocene and why our actions in this "age of humans" matter for everyone's future. You may not know precisely what the eras of the Earth are. Just what is the Anthropocene? 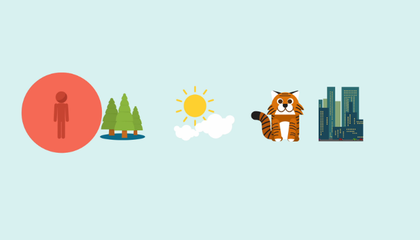 It is viewed as the period during which human activity has been the dominant influence on climate and the environment. As for the other eras, the Cambrian was the first geological period of the Paleozoic Era. It occurred 541 to 485.4 million years ago and is noted for its profound change in life on Earth with the introduction of more diverse life forms. The Jurassic period occurred 201.3 to 145.5 million years ago. The Jurassic era makes up the middle period of the Mesozoic Era and often is known as the Age of Reptiles. The Holocene era began after the Pleistocene era, around 11,700 years before A.D. 2000 and continues to the present. It is part of the Quaternary period. It includes the growth and impact of humans across the globe. Geologists pick the names for Earth's history based on what dominates the era. For example, the current era, the Anthropocene, means "The Age of Humans." I found this article interesting because I didn't know the current era was called the Anthropocene. It depends on the era in which the name was affiliated with. Anthropocene is named that because it means era of humans. As stated by the article, time periods in Earth's history are named for major events or discoveries. For example, the Cambrian Period is named after the Latin translation of Wales, where rocks from the period are most commonly studied. In the past, new eras, periods, or epochs were decided by mass extinctions, tectonic plate movements, or global dominance by one group of organisms. The latter is the topic of discussion in this article. As humans, we have dominated the planet and exist in all terrestrial regions. As a result, many scientists believe that this "Age of Humans" calls for a new division of time in Earth's history. It is interesting how we have expanded so much in just a few thousand years and uncertain what is yet to come. Geologists have many names for Earth's history. The article states,"The scientists mark each chapter with a meaningful title: Cambrian, Jurassic, Holocene, Pleistocene, just to name a few." The names help scientists identify what periods of time important things happen. The times also have meanings that show the meaning of the time period. The scientists let others understand the times instead of identifying them by numbers or something else without meaning. I found this article interesting because I don't pay much attention to time periods. I didn't know about the different time periods and what they are known for. Some of the many different times were the Cambrian, Jurassic, Holocene, and Pleistocene eras. Today, some scientists say it is the Anthropocene, which is the "age of humans." I think that this matters because what we do can effect the future. For example, if we use a lot of gasses, it can be a lot of pollution and harm the atmosphere. Geologists pick the names for the Earth's history by looking at distinct signatures in the rocks that have formed through the past eras. Geologist pick names for the Earth's History because it can classify what time period we are in. I like this article because " And for the first time in the planet's history, one species is its primary author.". This makes me happy to be here because of Earth's history and all that has been in this Earth. This article was surprising to me because we are being called the " Anthropocene" which stands for age of humans, and we are the age of humans. The geologists pick the names for the Earth's history, by what has influenced this period of time the most. For example, Holocene era was named because it involves the growth of humans around the globe. The Jurassic Era was named based on how it was the age of reptiles. I found this article very interesting, because I didn't know anthropocene meant. I thought this was interesting because I hadn't known about how each time period got their names, and I didn't know anything about how meaningful it was. Geologists pick the name for the Earth's history by what takes over or is dominant over the course of that time. Currently we are in the Anthropocene Era, or the age of humans. I find this article very interesting because I did not know we were only apart of 0.01% of the Earth's existence.